Nectar is a sugar-rich liquid produced by special glands on a plant. These glands are normally associated with the flowers - but not always. Floral nectaries are often found at the base of the petals so that a visiting insect picks up or deposits pollen whilst collecting the nectar. The visitor thus 'helps’ the plant to reproduce / set seed. Common pollinators are bumblebees, bees, wasps, moths, butterflies and hummingbirds; less common pollinators are flies, ants, possums and bats. However, nectaries can be found elsewhere on a plant - on leaves, leaf stalks (petioles), stems and fruits; these are extra-floral nectaries. They too produce a sugary nectar but it has nothing to do with pollination. Extra-floral nectaries are thought to be part of a plant's defence system. The nectar attracts certain insects, which make use of the nectar but also function as 'bodyguards'. Examples are seen in myrmecophytes - plants which live in a mutualistic relationship with ants. A species of Acacia (Acacia hindsii), which is found in the tropical dry forests in Central America, is a myrmecophyte. Its ‘residents’ are ants of the genus Pseudomyrmex. These ants gain nectar and the food bodies (rich in proteins and lipids) which they require from the host plant. The Acacia also provides shelter, in the hollows of its swollen thorns (sometimes known as domatia). In return, the ants become bodyguards, protecting their host against herbivorous insects and other herbivores. The relationship between flowering plants and insects goes back a long way, indeed is an important example of co-evolution. Highly successful insect groups such as the bee, wasp and ant 'family' (the Hymenoptera) and the butterfly and moth 'family' (the Lepidoptera) evolved hand in hand with the flowering plants (the Angiosperms or Magnoliophyta) during the Cretaceous period (140 - 60 million years ago). As flowering plants evolved and expanded so did these groups of insects - about one fifth of all living species of insect are directly dependent on the flowers, nectar or pollen of angiosperm plants for their food. Certain features of the chemical composition of nectar are shared by most plants. For example, the sugars found in nectar are sucrose, glucose and fructose - though the proportions and concentrations vary from species to species. Other organic compounds may be present, but these are usually present in much smaller amounts, for example, secondary metabolites such as tannins, phenols, alkaloids and terpenes. 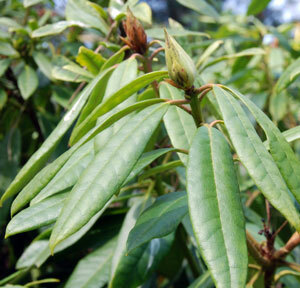 The ‘dreaded’ and invasive Rhododendron ponticum produces terpenoid chemicals known as grayanotoxins. These serve to defend the plant against feeding insects but it is somewhat surprising that these grayanotoxins are also found in the nectar of the plant. Work at Kew showed that these toxins were lethal to honey bees; this was unexpected as it is known that in Turkey (part of the native range of R.ponticum) the local sub-species of honey bee visits the plant and makes honey from it. Indeed, ‘mad honey’ is the toxic honey that is made by the bees that feed on the nectar of R. ponticum in this region. It has been cited as the world’s first use of a chemical weapon - as hives containing the toxic honey were left by the ‘roadside’ to tempt invading roman garrisons. 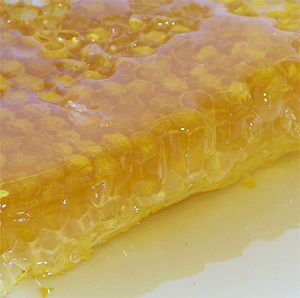 Ingestion of this mad honey can cause blurred vision, dizziness, sweating, weakness and numbness in the hands and feet. The toxin seems to affect the vagus or wandering nerve. 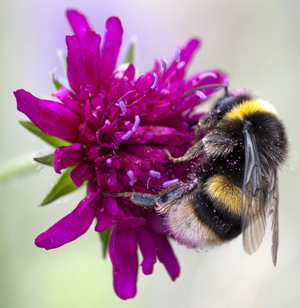 Some compounds found in nectar, such as GABA ɣ-amino-butyric acid might increase foraging behaviour as it affects eating behaviour and movement. Recently, sophisticated chemical analyses have demonstrated a variety of proteins (known as the nectarins) in nectars. The floral nectar of Nicotiana has nectarins that produce high levels of hydrogen peroxide - the peroxide limits the overgrowth of microbe populations. 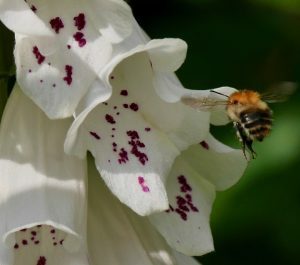 The yeasts and other microbes that may be found in nectar can produce alcohol and VOC’s - volatile organic compounds, which may contribute to the scent of the flowers. The note about rhodedendron poisons make it even more of a good idea to eliminate these invasive and damaging plants from British/European floras. Bees arehaving a tough time as it is! Really informative, Thank you. Are those invasive rhododendrons a real problem in England now?